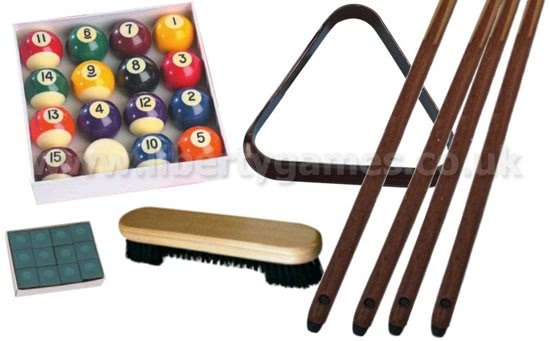 New, modern styled american pool table - available in different sizes! American pool table with Big Apple theme - available as freeplay or coin operated! The New York american slate bed pool table is a brand new table with a distinct "Big Apple" theme - a commercial standard pool table that has a stunning panoramic view of Manhattan on the cabinet. This table is a must for any modern games room or commercial environment - an eye-catching table that conforms to the quality and playability you would expect from a high end product. The cabinet is constructed from heavy duty plywood with steel frame supports and has been finished with aluminium backed professional rubber cushions, black scratch-resistant rails with inlaid sites and aluminium corner caps. When choosing your pool table it is important to consider the size of the room it will be located in. It is recommended that there is enough room to fully extend your cue from the external edge of the table to the nearest wall. 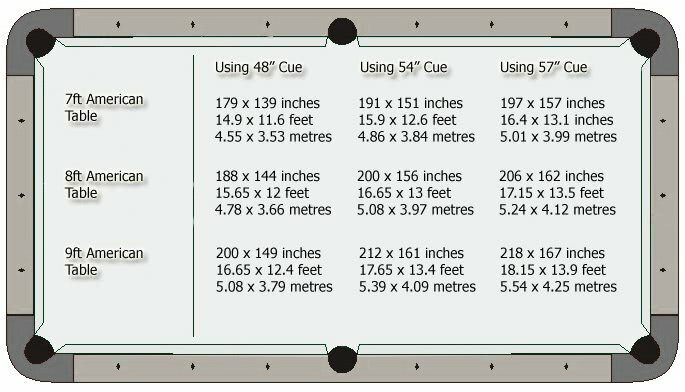 The sizes below are ideal measurements, however if space is a bit tight why not purchase a smaller cue to help with any tricky shots.